The Victorinox Swiss Army Knife "Soldier" was issued to the Royal Australian Navy during the late 1990's and early 2000's. These knives carried no acceptance marks or NSN. This knife was made in Switzerland. 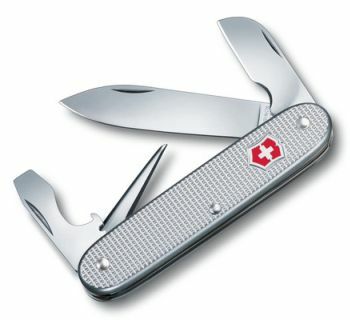 The Victorinox Swiss Army Knife "Soldier"
The Department of Defence purchased large quantities of the Victorinox Swiss Army Knife "Electrician" between the mid 1990's to about 2004. These knives carried no acceptance marks or NSN. This knife was made in Switzerland. I am still looking for information on where they were issued and would appreciate hearing from any members of the ADF who were issued with these knives. 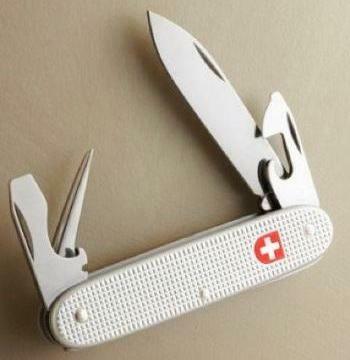 The Victorinox Swiss Army Knife "Electrician"